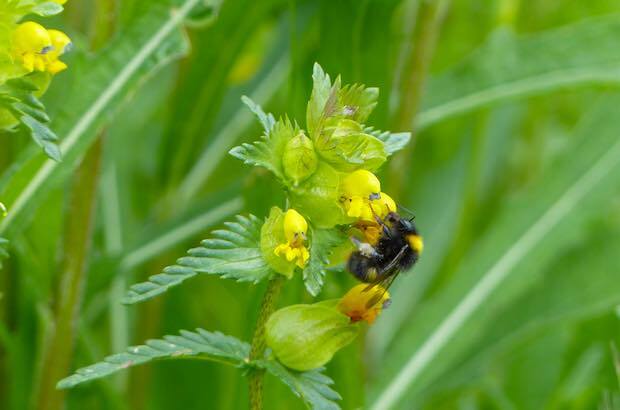 This crucial loss is impacting on the many populations of bees, butterflies, pollinating bugs and birds who depend on UK native wildflower rich meadows which they co-evolved with. The simple act of sowing the right wildflowers can make a huge difference to wildlife and to your well-being. In the interests of wildlife it is best to manage your meadow organically, rather than using potentially harmful pesticides and herbicides. 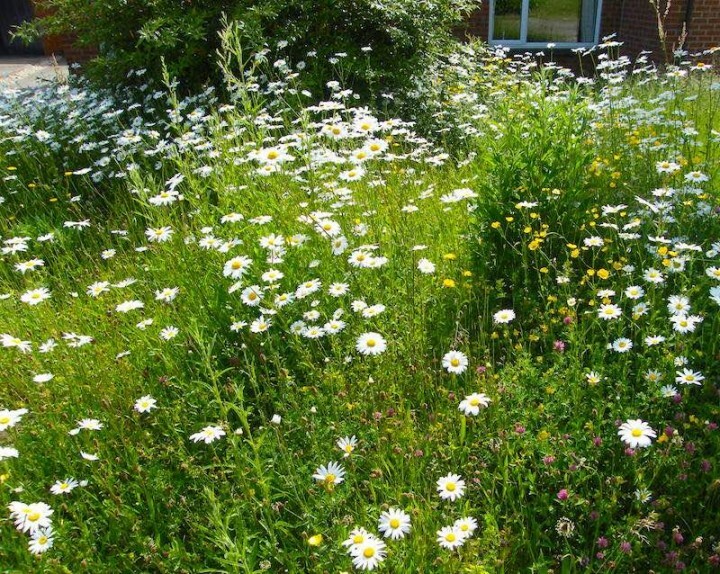 A native wildflower meadow can be a metre square, an unused area of your lawn or acres of grassland. All it requires is an open sunny space and low soil fertility. 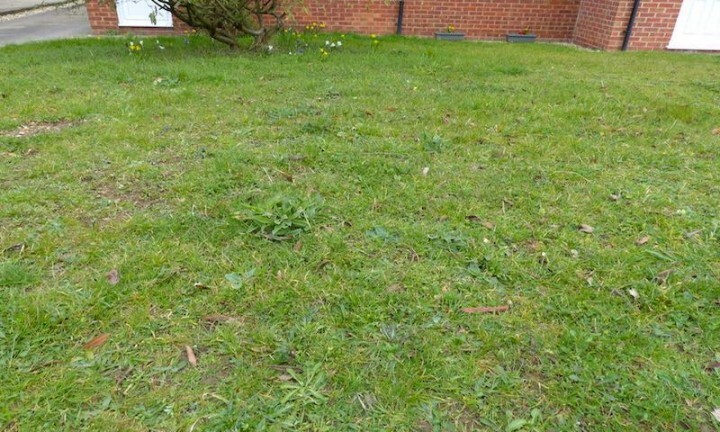 If your lawn has not been fertilised for a good number of years and when you have mown your lawn the cut grass has been removed (to a compost heap), you should leave your grass unmown from March onwards to see which native wildflowers you already have. Then mow in late July or mid-August on a dry, sunny day. Leave the cuttings for a day, so that any wildflower seed can fall and then rake off and use as a seasonal mulch in other parts of the garden. It is amazing what may already be there! If you are not sure whether your flowers are native wildflowers, then see Kew’s helpful Know your wildflowers list. If the flowers turn out to be non-native then please see Step 4. If your lawn has been fertilised so that it is grass rich and dense, or if your top soil has been imported from another, non-local site, you will need to remove the top 5-6 cms of soil in late summer and maybe use the fertile soil to make a raised veg patch, or offer it to a neighbour. Then follow Step 5. If your lawn does not have any native wildflowers after being left unmown during its first year, you will need to weed out the non-native flowers. Then follow Step 5. If Steps 3 and 4 are applicable to your lawn, please see Kew’s advice on the native wildflowers that are best for your region. Then cut your lawn very short in early March, scuffing the ground with the mower. Also lightly rake the surface, then apply the wildflower seed. Make sure that your native wildflower seed contains yellow rattle which will help to reduce the vigour of meadow grasses and help wildflowers to set seed. Cut your meadow in late July or mid-August on a dry, sunny day. Leave the cuttings for a day, so that any wildflower seed can fall and then rake off and use it as a seasonal mulch in other parts of your garden. It can take up to three years for some of the seed to germinate. The management of your meadow will then follow a yearly pattern of being mown in July or mid-August with additional cuts until November, if needed. The most important part of establishing a wildflower meadow is patience. It was certainly my experience. 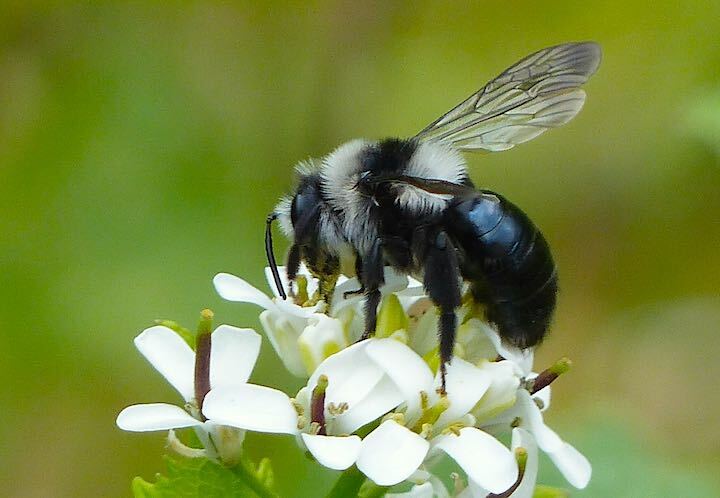 To help as much wildlife as possible it is essential to provide a mosaic of habitats, such as short grass for ground-nesting solitary bees like the ashy mining bee (which don’t tend to sting! ), a pond, hedge and/or orchard. You might like my urban meadow story to inspire you and help get you started. Send us images of your meadows and the wildlife that arrives. We’d love to see them!